Chemical products are a key part of everyday life with more than 100,000 substances available and in use around the world. According to data from the UN Environment Program (UNEP), the global chemical industry produces more than 400 million tons of hazardous waste annually. These residues can present a severe threat to health and the environment if not discarded safely and quickly. Chemical company BASF is tackling this challenge in an innovative way: converting chemical waste into reusable energy. The company recently upgraded its central waste incineration plant, which processes all the chemical waste from its site in Ludwigshafen, Germany, the largest chemical production site in the world with more than 250 plants, as well as from outside of the complex. The upgrade completely modernized the 60-year-old incineration control room with our Experion technology. Nearly 30 controllers were installed to handle thousands of input and output signals from the incineration process each day. These signals help plant operators monitor the temperature, flow, level and pressure of the combustion process used on hazardous chemical waste. Once the waste is burned, the generated heat is converted into steam, which is then placed under high pressure in turbines to generate electricity—turning hazardous waste into clean energy. Fully integrated into the consoles are live video feeds from several points of the incineration plant such as the boiler, combustion chamber and turbine. Barco OpSpace provides integration of video and interactive (third-party) computer sources into the Experion Orion console workspace, with control from one keyboard and mouse. A complete visualization of operations at any given moment offering insight into the incineration process from the beginning to the end. 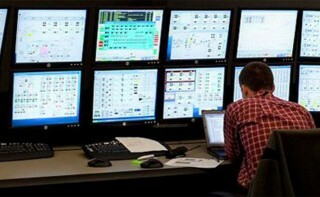 Operators and production staff use two Collaboration Stations to access a large variety of plant information and documentation in real time — for example electricity and steam reports that provide important updates about how effectively the plant is converting hazardous waste into clean energy. The incineration plant is responsible for burning hazardous chemical waste that cannot be recycled or reused in other production processes. These residues are introduced into the plant via pipelines, tanks and containers – mostly from the site itself but also from other nearby facilities. With these systems, plant operators monitor and control devices and equipment, while continuously receiving information on variables such as temperature, pressure and flow. Yokogawa Electric Corporation announces that it has developed the WG51S2 infrared sensor for the WEBFREX NV online thickness gauge. Positioned as an OpreX™ Quality Control System family solution, the WG51S2 infrared sensor enables the WEBFREX NV online thickness gauge to measure and control the thickness of films and sheets with greater accuracy than ever before. This new product will be released on September 3. Thickness gauges are used on film and sheet production lines to measure and control film and sheet thickness. They ensure that all products coming off the line are of uniform thickness. Various kinds of plastic film have been developed for packaging, including highly functional film that can preserve the quality of packaged contents and film that can be printed with vivid colors to improve the attractiveness of the packaging. Environmental concerns have driven efforts to make plastic films recyclable and thinner, and so it is important to have thickness gauges that are capable of measuring the thickness of thin films with a high degree of accuracy. To satisfy this need, Yokogawa has developed this infrared sensor. For the handling of various kinds of films and sheets, four different types of noncontact sensors are available for use with the WEBFREX NV online thickness gauge. These are a β-ray sensor that can measure a wide range of materials, an X-ray sensor that is suitable for measuring compositionally homogeneous films, an infrared sensor that is suitable for use with plastic films that absorb infrared light, and an optical sensor that is suitable for measuring multilayer films and other kinds of transparent films.